Click the button below to add the Acne Anti-Bacterial Body Clear Treatment #Anti-Bacterial Body Acne Treatment# to your wish list. For the best results that I've seen on myself: before bed, I extract pimples that are ready (I don't try to force any to come out), then I apply this serum in the hole from the extracted pimple. I leave it on overnight, and when I wake up, the appearance is almost gone. It usually the next day completely with additional application. Even if the pimple was a little bit raised, or the extracted area was raised from irritation, my skin will be flat and there will barely be a scab or anything. Before I used this serum, I would try the same method with Benzoyl peroxide or Retin-A and when I removed the product in the morning, there would be a dull red color because of the irritation of removing the pimple. Clary Sage Extract works as a nutritive remedy to help reduce any skin irritation and inflammation caused by breakouts. 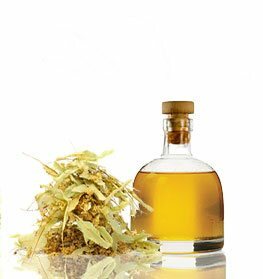 Tea Tree Oil regulates and balances with Vitamin A and Vitamin C.
Lemongrass detoxifies skin from unwanted bacteria while rejuvenating the skin by removing excessive oil. Vitamin E protects the skin from breakouts by shielding the cells from free radicals while moisturizing it. 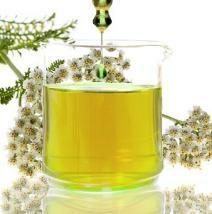 Jojoba Oil protects and cleanses the skin by fighting bacteria that promotes blemishes and bacteria. Chamomile Extract The Egyptians and Greeks used Chamomile Extract for traditional medicine. It’s known for soothing the skin and preventing pimple scars. We suggest using our clear soap for best results. • Apply product directly on the blemish/pimple. • This product can be used on the face and body. • Avoid applying too much of the product to the skin as it can dry out and irritate skin. • Use a clean towel to prevent the introduction of more bacteria to your face. I have breakouts on my back and face. This anti-bacterial body treatment really helps reduce the pimples. It actually works without giving the irritation most products do. It is very gentle and feels great on my skin. It worked quickly and I can feel my pores finally breathing again. I love being out in the summer sun. But when I wear sleeveless shirts I break out like crazy on my chest. I get this cyst-like breakouts that I never, ever had in my life..it’s so frustrating. I have been looking for a chemical free breakout and blemish treatment to help and found this. I put this anti-bacterial treatment when I went to bed and when I woke up the next morning the breakout was gone. This is the fastest that I have had a blemish clear up plus the biggest bonus is that is 100% natural. I have suffered from annoying pimples mainly around my chin and mouth, and it got to me. I have been using this body treatment for three days, and the difference is massive! It has been a miracle treatment. I have been applying it all over my chin and around my mouth, in tiny quantities and it has clear my skin like not other product did before. I love that I can stop be using this product and the pimples never comeback. My daughter was suffering from hormonal breakouts I bought this treatment to her to use on her very active pimples and the results were amazing. In about two days her skin looked smoother, clear and the pustules were drying up. After a week her skin was clearer, and she was feeling much better about her skin and was very encouraged by the results. It's been about two weeks now since she's been using this product and her skin is looking better and better every day. I'm totally sold on this anti-bacterial treatment!!! I am using the anti-bacterial body treatment on my back, arms and shoulders. Now they are smooth and my skin looks healthy. I can stop nasty pimples before they get seen! It worked wonders on the very first day. I have very sensitive skin as well (it comes with the territory) and this did NOT give me any reactions or side effects. This is the greatest thing ever made. I will be using this for the rest of my life! I had a stress breakout weeks before I got married, my back and shoulders were so bad and nasty looking that I almost canceled my wedding. My mother found this body treatment on Pinterest. My skin started to heal immediately. I received so many compliments throughout the night and my entire wedding was a dream, my skin glows and even my natural color looks much better. I am planning on using the haircare products as soon I get back from my honeymoon. I am using these natural anti-bacterial body treatment and I am not going back to using chemicals or miracle cures, nature has all we need to be healthy with a skin free of pimples. The anti-bacterial pimples treatment is my skin saver and my natural weapon against breakouts. When I see a pimple coming I immediately apply a drop of this breakout serum, next day my skin is clean, smooth and looking great! I had moderate body breakouts on my chest, back, and shoulder area. I have been using the anti-bacterial treatment for about 2 weeks now and I can see that my breakouts is disappearing. I also use it on my face to prevent zits from happening. The bottom line, I would recommend this pimple treatment for body/face! It really works~ i'm in my mid 30's and i broke out crazy suddenly. nothing had worked but this treatment has saved me. unlike proactive or some other treatments out there, this does not dry out nor irritate skin at all. I’ve had acne on my upper back and chest my entire life. My parents used to put me on benzoyl peroxide cream and yes it worked but my skin always was dry and peeled. Saw this on pinterested and I️ had nothing to lose. It smells a little weird until you get used to it, but it worked! It really worked! Not only is it the first time in my life that I’m not embarrassed to wear a low cut shirt, but my skin is actually moisturized. This product is worth every single penny to me and I️ will be a life long customer. Seriously, you have to try it. It’s a miracle worker!! I have always suffered with bumps. I have searched everywhere trying to find something to help. This product seems to keep this problem under control. Glad I ordered it. It smells great, so far I'm pleased. I stumbled upon Just Nutritive a few years ago. This is a very small bottle but an amazing buy. How’s the saying go, Good things come in small packages. I use this when ever I experience acne any where on my body and it has worked efficiently and effectively with diminishing my acne. Will be buying again. In my opinion this is the best stuff out there for acne spot treatment. It has helped make my blemishes go away while keeping my skin looking and feeling healthy. A few drops on the affected area and that’s it! Highly recommend for adults or adults with children. Amazing product. I love that is only uses natural ingredients and yes its expensive, yes the bottle is small but used correctly it last a long time. This is one product I wont do without! For me this has been the only product I have found to always work. Many products my face adapts and then it no longer works. This has worked for years without any issues. I use it once a day in the morning after washing my face. I love how it keeps my skin feeling smooth why not making it dry and irritated. Now this product is a miracle in a bottle an works amazing for me. In a matter of weeks, the red blemishes on my face had reduced and the pimples on the back of my arms decreased. Only complaints are its very expensive for such a little bottle. When they told me at 16 that acne was "just a phase" and that I would "grow out of it" I thought that my acne struggles would be over by the time I got out of my teens. A decade later at 26 yrs old I was still struggling with mild back acne and facial acne which ha me frustrated. With my skin being incredibly sensitive and prone to break outs if a product or medication was too harsh I was constantly in search of the next "fix it" solution for my acne. However, I saw a Pinterest add not too long ago for some hair care products through Just Natural and thank God I did because their products are some of the best I have ever purchased. After using their hair care stuff I decided to venture and take a look at their acne care solutions and stumbled across this antibacterial product. OH MY GOSH! Best thing I have bought yet!! When I read the reviews of this working in a matter of days I was naturally skeptical. However, after using this product on my back, chest and face for about a week I have begun to notice a HUGE difference. My lower back has finally started to heal and the acne has almost completely disappeared. I no longer have chest acne and my face cleared up almost instantly. The only thing I will say for people using this product who have more sensitive skin...I would recommend using a little less on your face or sensitive areas just to see how your skin reacts first to the product! Even with that being said I think it works great for skin sensitive people such as myself and overall I would recommend this product to anyone and truly believe in the benefits of healing it provides!! Anti-Bacterial Body Clear Works for Cystic Acne! In my late 40's I'm finding cystic acne is common in premenopausal years - which is awful after having done two rounds of Accutane in my past! Nothing, including pure tea tree oil has resolved cystic acne until now! Thank you for making a product that not only helps prevent cystic acne, but also shrinks cystic acne that crops up on any area of the body. I wear this oil everyday on my face and spot treat cystic acne that comes up in other areas. Usually I'm fighting 5 cysts on a regular basis and I wasn't winning the fight. Since beginning this product 5 weeks ago I've had only 1 new cystic acne eruption on my face (vs. the many I usually have), and with focused treatment, it resolved in 2 days! Amazing! These results are better than any dermatologist has given me! Thank you for making this amazing product!